Then God said, “Let Us make man in Our image, according to Our likeness; and let them rule over the fish of the sea and over the birds of the sky and over the cattle and over all the earth, and over every creeping thing that creeps on the earth.” And God created man in His own image, in the image of God He created him; male and female He created them. And God blessed them; and God said to them, “Be fruitful and multiply, and fill the earth, and subdue it; and rule over the fish of the sea and over the birds of the sky, and over every living thing that moves on the earth.” (Gen. 1:26-28). God created both men and women in His image. This means that they share the same identity – children of God. There are differences between men and women, but both have the same humanity. When Adam and Eve ate the forbidden fruit, God sent them out of His beautiful garden. There were consequences for each one of them. Eve would now have pain in childbirth. Adam would no longer be able to just pluck fruit from the trees but would have to grow things in ground that is cursed with thorns. Neither Adam nor Eve would be perfect anymore. They now had sin natures. They would now be selfish and be looking out for their own interests rather than just thinking about pleasing God. The sin nature would be passed down to all humans. The whole world is cursed. Things are not the way they were before the fall. Life became patterned after God’s pronouncements at the fall. Men worked outside, taking care of growing crops and animals. Women worked inside, cooking, sewing, and raising children. At harvest time everyone helped including the children. Life in the rural areas was happy and fulfilling. An excellent wife, who can find? 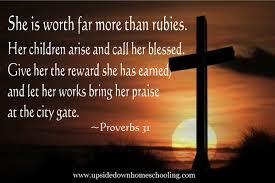 For her worth is far above jewels. The heart of her husband trusts in her, and he will have no lack of gain. She is like merchant ships; She brings her food from afar. She considers a field and buys it; from her earnings she plants a vineyard. She extends her hand to the poor; and she stretches out her hands to the needy. Her husband is known in the gates, when he sits among the elders of the land. Strength and dignity are her clothing, and she smiles at the future. She opens her mouth in wisdom, and the teaching of kindness is on her tongue. She looks well to the ways of her household, and does not eat the bread of idleness. Her children rise up and bless her; her husband also, and he praises her, saying: “Many daughters have done nobly, but you excel them all.” Charm is deceitful and beauty is vain, but a woman who fears the LORD, she shall be praised. Give her the product of her hands, and let her works praise her in the gates. Whether we are talking about women in the Old Testament, the New Testament, or today, all of these abilities describe the godly woman. These characteristics are timeless. But one thing we notice is that very few women actually achieved this level of lifestyle during Old Testament times. The Proverbs 31 woman gets the praise for what she has accomplished. This is what the Bible tells us. But apparently the Jewish leaders did not read their Scriptures. In reality in Old Testament Israelite society women were not allowed above their station as allowed by the Jewish leaders. The Rabbi’s did not believe that women should be educated. Clearly they were violating the Scriptures by not allowing women to do any of the tasks that we see in Proverbs. be in leadership positions. While not every woman has such a successful husband and can afford to buy land and have servants, most women are at least allowed to participate in meaningful work. Of course the calling for women is still inside the home if she’s married and has children, but today women can work outside the home as well. Women go to school and start businesses. Women are teachers, missionaries, and executives. How did the change come about? Why were things so bad for women in the Old Testament but now are better? Christianity is the answer. If you look at other cultures, such as the Muslim culture or the Hindu culture, you will see that women are treated like objects because of their religious beliefs. Women are no better than furniture in those cultures, to be used by the men however they wish. But everywhere that Christianity has gone, women have been treated better. Jesus is the One Who changed things. When Jesus came, He treated women differently than the rabbis of His day. Jesus modeled the way that men were supposed to treat women. He shocked His disciples on many occasions when He gave so much time to women, but He expected the disciples to learn from Him. He expected them to see that in His kingdom women as well as men were to serve. He did not hand out specific job descriptions; He meant for women to follow Him in whatever way they were called. For most women this would still mean being a good wife and mother. Other women were single or widowed and Jesus affirmed them in their callings as well. When Jesus met the needs of these women He gave them new life – physically, socially, and spiritually. 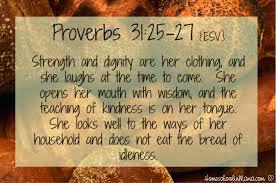 Jesus gave women back the dignity of the Proverbs 31 woman. 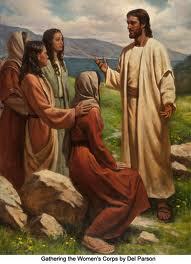 Jesus also restored these women to the position they had before the fall. In the Garden of Eden, Adam and Eve went about working in the garden as equal stewards. There was no conflict between men and women until sin entered the world. Then the temptation to be selfish would affect all people. That is the essence of sin – I want my own way, especially if it means I can boss you around. Jesus changed all of this when He taught that we are to think of others before ourselves. Now, as we love and serve Jesus we will love and serve others. We can live the way we were meant to when God created us. 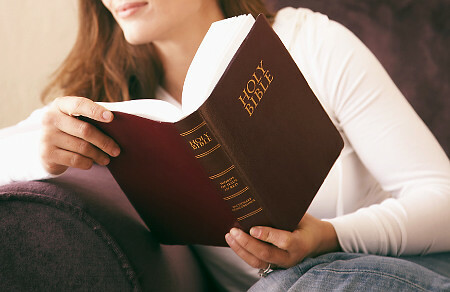 My sisters, let us keep a biblical view of womanhood. This means that we must study how Jesus treated women and how women responded. My prayer is that more preachers would also take time to read, Proverbs 31, Luke’s Gospel and the book of Acts, and examine their own presuppositions concerning what work that women would be allowed to do in the Church. I pray that they would seek Biblical answers. I pray that men would be more like Jesus as they allow women to follow their callings. What Jesus inaugurated, the Church should extend. With the spread of Christianity women can serve along side of men to take the Gospel to the lost. It came about that when she (Achsah) came to him, she persuaded him to ask her father for a field. 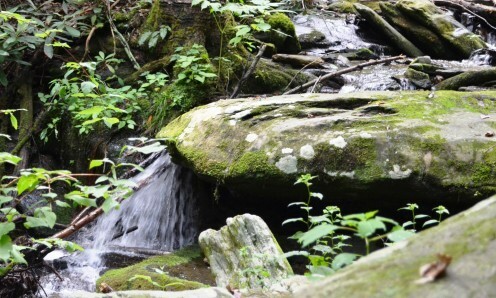 So she alighted from the donkey, and Caleb said to her, “What do you want?” Then she said, “Give me a blessing; since you have given me the land of the Negev, give me also springs of water.” So he (Caleb) gave her the upper springs and the lower springs. (Joshua 15:18,19). Imagine what it must have been like to live your entire youth as a nomad. Your people wander through a wilderness area for many years. Every morning you wake up and get to look forward to manna for breakfast, manna for lunch, and manna for dinner. There are constant threats from hostile neighbors. What are your options here? You can just try and get by or you can wander around with a chip on your shoulder. Or you can keep your faith in God. You know that at some point you and your family will find a permanent home because God promised it. You grew up with a man who lived his life in obedience to God and taught you to trust God also. This is the story of Achsah, brave and determined daughter of Caleb. Many of the Israelites did not believe God. After they came out of Egypt their leader Moses sent twelve spies into the land promised by God. Ten of the spies would not trust in God’s strength to fight for them. Only Joshua and Caleb insisted that the people should not rebel against God “and do not fear the people of the land, for they will be our prey. Their protection has been removed from them, and the Lord is with us; do not fear them” (Numbers 14:9). All of the then living adults, including the ten cowardly spies, died in the wilderness for their sin over a period of forty years. 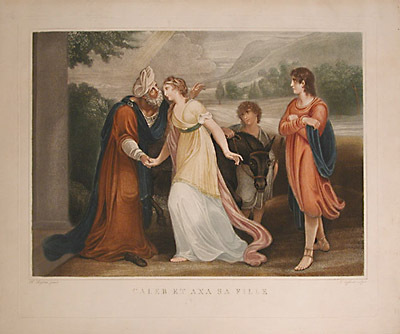 Achsah and the others who had been born since then would go into the Promised Land with only two of the original generation remaining alive – their new leader, Joshua, and Achsah’s father, Caleb. By now these men were in their eighties, but God had blessed them with health and vitality. Caleb said, “I am still as strong today as I was in the day Moses sent me; as my strength was then, so my strength is now, for war and for going out and coming in” (Joshua 14:11). Caleb still had enough strength to do battle against the giants in the land of Canaan. Joshua allowed Caleb to subdue the particular piece of land that would be his own eventually. It included the “hill country about which the Lord spoke on that day, for you heard on that day that Anakim were there, with great fortified cities; perhaps the Lord will be with me and I will drive them out as the Lord has spoken” (Joshua 14:12). This land was the area around Hebron. Caleb drove out all of the inhabitants and was given the land. While doing battle he put forward an interesting proposition. He pledged his daughter to the brave man who would conquer Kiriath-sepher. If we didn’t understand what was really going on we might be tempted to think that Caleb was just an opportunist using his daughter as a pawn. Nothing could be further from the truth. Don’t forget, he was an old man. He was looking forward to retiring. He knew this land would go to his descendants. Caleb was concerned that he got a really worthy son-in-law and not just a mediocre husband for his daughter who would be a great heiress. This new son-in-law must be courageous, smart, uncompromising in faith, and as strong as himself. He wanted a man who would help his daughter raise his descendants to wholeheartedly worship Yahweh. Othniel was such a man. He proved his love for God, his uncle Caleb, and Achsah by capturing Kiriath-sepher. He won his bride and they were ready to settle down and enjoy their blessings. However, the land of the Negev that they were given was very dry and barren. It would have been difficult to grow crops there or water livestock. And so, Achsah ventured forth to visit her father. This woman had inherited his courage and faith. She grew up with a man who had stayed the course. Achsah learned from her years in the wilderness that God wants to bless those who stay true to Him. She saw God’s promises come true and she dared to ask for what she needed. When Achsah alighted from her donkey Caleb asked her what she wanted. She boldly requested, “Give me a blessing; since you have given me the land of the Negev, give me also springs of water.” So he gave her the upper springs and the lower springs” (Joshua 15:19). Achsah had three brothers. No doubt Caleb provided for them too, but we don’t know much about them. We have only Achsah’s story given to us by the Holy Spirit. Though Solomon would not write about the Proverbs 31 woman for hundreds of years in the future, Achsah would have fitted the image very well. 1. Achsah proved that she was a good businesswoman. She knew that the land would now be worth much more than before. She and Othniel would be able to take care of a very large household. Caravans would be able to stop and water their animals. Travelers would be able to bring trade. She would be like the “merchant ships; she brings her food from afar” (Proverbs 31:14). 2. “The heart of her husband trusts in her, and he will have no lack of gain” (Proverbs 31:11). Othniel let Achsah ask her father for the land with the springs. Her husband trusted her. 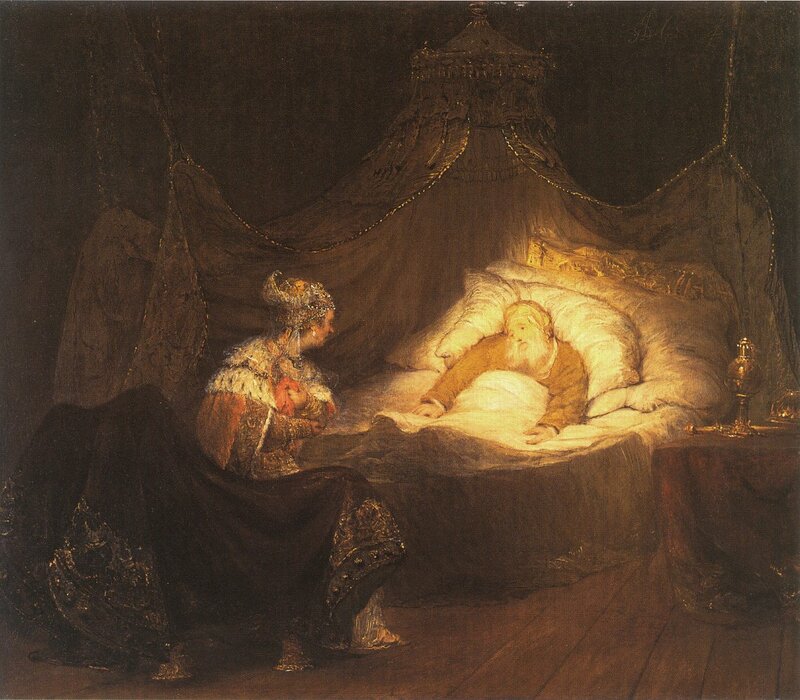 Perhaps this was because he knew that his wife had learned courage, strength, and fortitude from her father. We don’t know how old Achsah was when the Israelites reached the Promised Land, but she must have watched her father all of her life be one of the bravest, strongest, and most faithful of men. She certainly learned her boldness at the knee of an expert! Perhaps she was the apple of her father’s eye as his fearless daughter. Othniel continued to prove that Caleb’s faith in him was correct. As part of his responsibility as judge he had to go to war against Cushan-rishathaim, king of Mesopotamia. God blessed Othniel with extra strength as He had his father-in-law. Othniel prevailed against Israel’s enemy and then the land had rest for forth years. What can we learn from Achsah’s story? Achsah was blessed with a godly father and husband. Caleb wanted her to be protected when he was gone. He wanted to be sure that she would be able to enjoy her inheritance and pass it on the their progeny. That is why he put forth a challenge that would bring forth the right man for her. We can be like Achsah when we pray. She had strong faith and trust that God would keep His promises. Our heavenly Father wants to bless us. We should be bold as she was when we present our petitions. We should not be surprised if our Father gives us even more than we asked. Achsah was a woman who boldly asked. Ask and it will be given to you; seek and you will find; knock and the door will be opened to you. For everyone who asks receives; the one who seeks finds; and to the one who knocks, the door will be opened…. how much more will your Father in heaven give good gifts to those who ask him!” (Matthew 7: 7,8,11).